Diamonds may be a girl's best friend-but paper's more fun to play with! 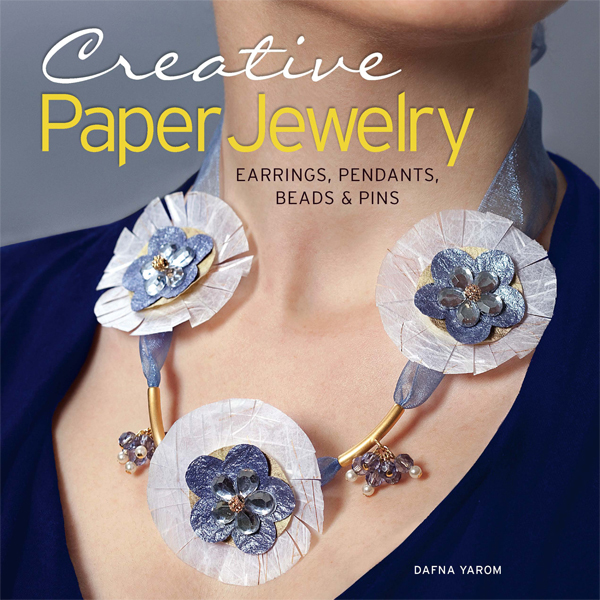 The creative techniques of acclaimed artist Dafna Yarom transform this versatile and accessible material into lightweight, refined jewelry. Her projects combine paper with diverse materials including iron and bronze wire, wooden and glass beads, crystals and more. By carefully mixing colors, shapes, and textures, crafters can create distinct pendants, striking brooches, delicate necklaces, whimsical earrings, and more. Going beyond the rolled paper bead, these designs will have crafters hooked.